Too often digital projects are plagued with problems because organizations fail to realize they must handle them differently. There is no shortage of high profile digital projects that have failed spectacularly. 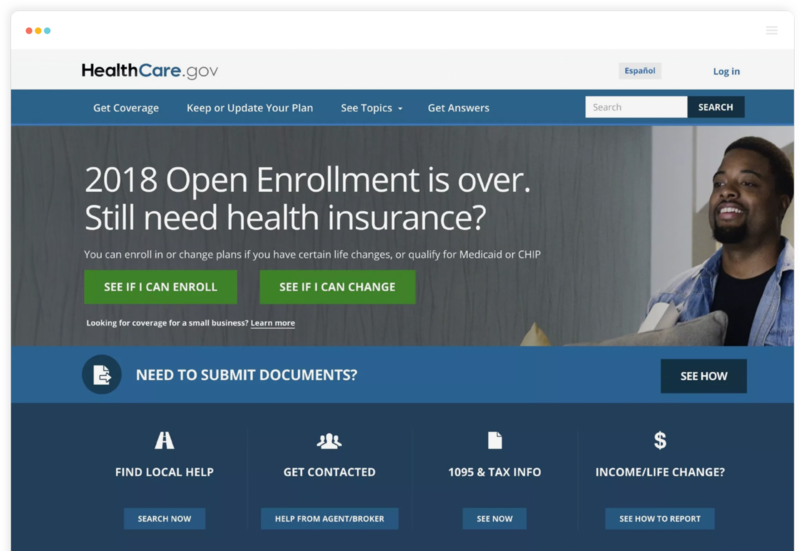 There is the failure of Healthcare.gov, which cost U.S. taxpayers almost $677 million, or the European Parliament who spent £3.4 million on their website, £36.40 per page. Let’s take a moment to consider a traditional project. Imagine that we are building a new factory. It is an expensive endeavor and has to be done right first time because the cost of getting things wrong are enormous. After somebody in senior management decides to build the factory, a committee of stakeholders are often formed to determine the requirements. Those requirements become a request for proposal that goes out to tender. A supplier is then selected, and contract negotiations drag on as everybody endeavors to get all the details laid down. Plans are drawn up and signed off before work begins. At this point, there is no going back. Everybody is committed to the vision and scope creep becomes the enemy because the cost of changing things mid-build is too high. The raw materials of digital are free. Digital provides significant amounts of data. – Let’s dive into those two characteristics in a little more detail. The raw materials of a factory are hugely expensive, while the raw materials of digital projects (pixels) are free. Aside from some technology purchases, the only real cost is labor. We do not need to fear scope creep, in fact, we should embrace it. That is especially true in light of digitals second characteristic. When we launch a digital service, we get access to enormous amounts of data on how people are using it. We can see how long things are taking users, what they are doing and where they are going. We can even watch individual people move around our digital channels in real-time. Imagine you could do that with a factory. Also, imagine that the cost of moving walls and other elements of the factory was nothing more than the cost of labor. Wouldn’t you run projects differently? Wouldn’t you watch how efficient the factory was and then continually tweak and refine the layout of it to maximize capacity? You see where I’m going with this, right? Also, would you place as much emphasis on getting agreement for the details of the build upfront? The chances are you would conclude that adapting on the fly might be better because the cost of change is relatively low. 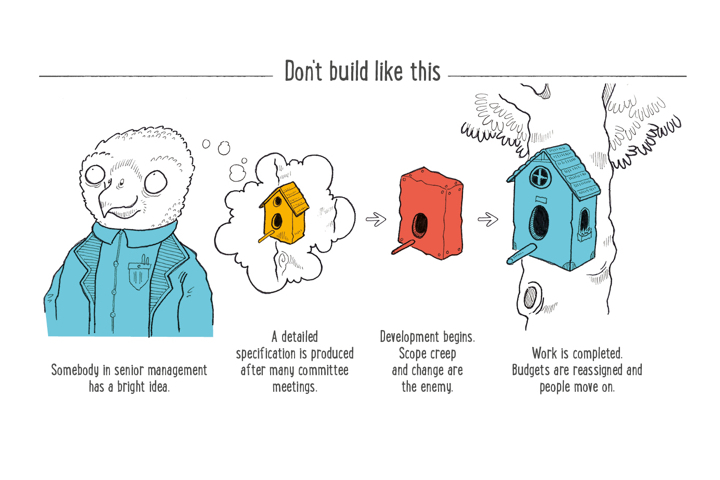 Unfortunately, the way we run a project does not accommodate these characteristics of digital. We run digital projects in much the same way we build a factory with a detailed specification at the beginning and staff moving on when the digital service launches. That means organizations do not benefit from the flexibility and data provided by digital. To truly become more accustomed to working in digital ways, we must embrace the fact that digital is different. If we don’t, that could lead to even bigger problems, for example – a boom/bust cycle of periodic redesigns.